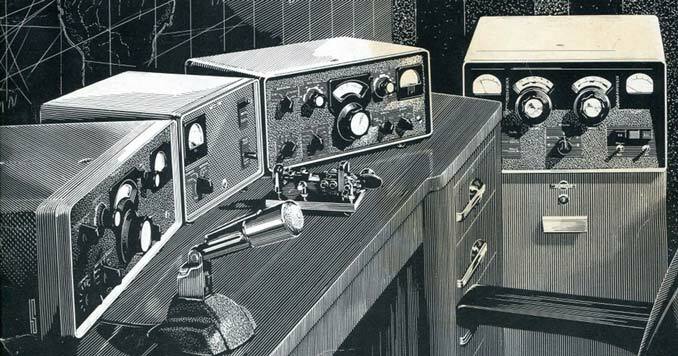 The subject of Ham Radio, in relation to preparedness, is one that’s often overlooked. When it is talked about, it’s often an afterthought in an article, or it’s presented by someone who has no real experience with radio communication technology. In my opinion, Ham Radio still plays a very important role in emergency communications and preparedness. If you’re serious about survival and prepping, you really need to look into HAM Radio. In general, radio communications is a pretty complicated subject; one that can hardly be covered in a single article. That being said, I want to answer some of the most common questions I receive about Ham Radio, and why I feel it’s still important to survivalists and preppers. Ham Radio, sometimes called amateur radio, is a popular hobby and vital emergency service that officially became regulated by the government in 1914 when Congress passed the Radio Act of 1912. Since then, amateur radio operators have been required to be licensed and have been restricted to certain designated frequencies. 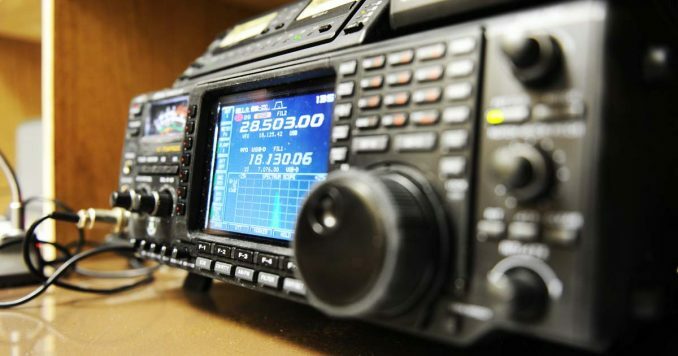 Today amateur radio operators communicate with each other over a wide frequency spectrum using various types of radios and transmission modes, including CW, phone, SSB, FM, packet, TV, PACTOR, PSK31, RTTY, and other modes. Ham operators can bounce signals off the ground, the ionosphere, and even off of the Moon to successfully transmit their messages. 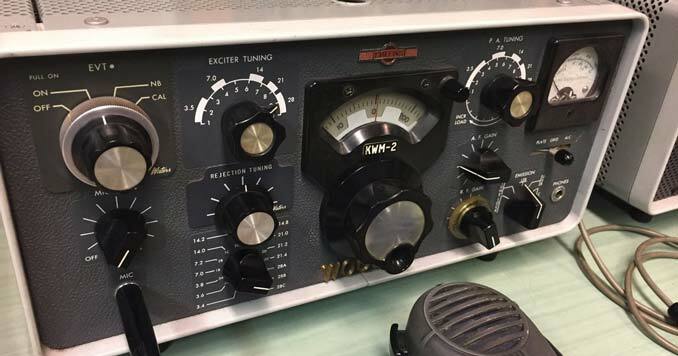 While most amateur radio operators are probably completely unaware of its origins, the term ham started out as a derogatory term to describe amateur operators who were competing for time and signal supremacy with government and commercial radio stations. Amateur radio operators could effectively jam commercial stations operating in the area, so these commercial operators started referring to the interference as “hams.” The name stuck, and now we call ourselves hams. Why is Ham Radio Still Important for Emergency Communications? What about my Emergency Radios, can’t I just use one of those to get information? Probably Not! Emergency radios are great; I have a few of them myself, but during a large-scale disaster, they’ll probably become completely useless. Think about it this way; most Emergency radios have the normal local AM & FM Bands, a few weather channels, and possibly some shortwave frequencies. During a large-scale disaster, most of these radio stations will either shut down because of a lack of power, or they’ll go silent when their employees stop showing up for work. On the other hand, Ham Radio will be more active than ever. During any kind of disaster, small or large, the Ham bands light up. From being able to monitor local communications to monitoring what’s happening nationally or even throughout the world, Ham Radio allows you to find out what’s really going on. One thing to keep in mind about Ham Radio is its operators are independent operators that don’t answer to any corporations or government officials. Yes, you do have to be licensed; but the people you’re listening to are independent operators that have no agenda, no filters, and no reason to lie about the situation. You will hear raw, unfiltered news right from the source. How will I power my Radio when the Grid goes down? From using solar, wind, and other alternative power sources to the batteries in your vehicles, boats, or RV’s there are a number of ways to power a Ham Radio after the grid goes down. In fact, some radios can be operated with little more than the batteries in your smoke detector. Personally, I’ve talked to people from around the globe with less than 10 watts of power. If you really know what you’re doing, you can transmit with even less. I use an Icom 703, with a battery pack that can be recharged with a small solar panel. 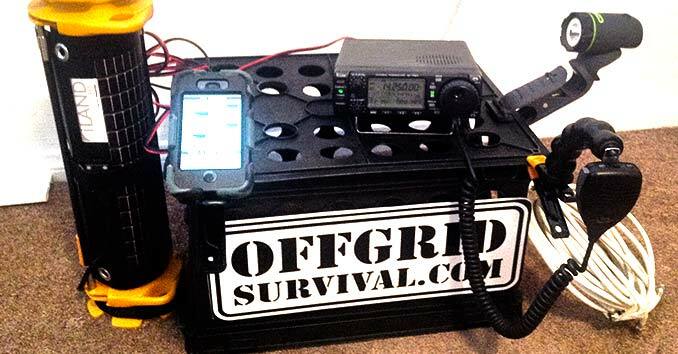 Here is an example of one of my solar powered Ham Radio Rigs. How to get a Ham Radio License: How hard is it to get the License? In general, radio communications is a pretty complicated subject, one that’s impossible to cover in a single article. That being said, the licensing process itself is actually pretty easy. Over the last decade, the testing process has been simplified. Some of the past requirements, such as learning Morse code, are no longer required to obtain a license. In my opinion, it’s a shame they’ve dumbed down the testing by removing the Morse code requirement, but I’ll save that rant for another day. What’s important here is that almost anyone, with a little bit of practice, can get their license. The Technician class license is the entry-level license of choice for most new ham radio operators. To earn the Technician license, you need to pass a 35 question examination. The test covers basic radio theory, FCC regulations, and basic operating practices. The license allows you to access the very popular 2-meter band. The cost of the exam is $15. You can find a testing center through the ARRL Website. To really get the most out of Ham Radio, you should shoot for at least a General Class License. This license will require you to take another 35 questions examination, covering more advanced radio theory, regulations and operating practices. Once you pass the General Exam, you will have access to all VHF/UHF Amateur bands and most HF privileges (10 through 160 meters). Can’t I just buy a Radio without becoming licensed? I often come across people who buy the equipment without ever learning how to use it. In my opinion, it’s the same as buying a gun and then never learning how to fire it. While there’s nothing stopping you from buying the equipment, I probably wouldn’t do it without learning how to use it first. Each type of equipment, power source, antenna, and communication mode has its own set of strengths, weaknesses, and intricacies. Ham Radio equipment isn’t something that you can just pull out of the box during an emergency. Just like every other skill in life, it requires practice; and in the case of Ham Radio, a lot of it. I refuse to be part of something where I have to be licensed by the FCC. I hear this argument a lot; and while I usually do everything I can to keep government out of my life, in the case of HAM Radio, I feel the benefits far outweigh the risk. So unless you’ve sworn off driving for the very same reasons, I advise anyone who’s serious about learning the ins and outs of emergency communications to take a good look at becoming a licensed Amateur Radio Operator (HAM). What kind of Ham Radio should I Buy? If you’re just starting and have your Technician class license, you don’t need to spend a whole lot of money to get started. In fact, a Baofeng UV-5R Radio will only set you back about $35 and is a great way to get started. The dual-band UV-5R covers the 2-meter band and 70CM ham band (136-174 & 400-480 MHz FM), making it the perfect choice for beginners. Do you know of any good resources that can help? I usually recommend any of the study manuals from Gordon West. His materials have been helping Hams for decades, and they are something that I actually used when I first got into the hobby. I used HamTestOnline for my Technician class license and had no problem passing the test. Just signed up again to study for the General class. Worked great! I got my Technician license in July of this year. I studied for just over a month with the manual and online practice tests. I “Aced” the test. It isn’t all that hard to study and earn your license. It just takes a bit of time and effort. Just for info sake. I used the ARRL manual which came with a CD for practice tests also. Plus I used a couple of websites like QRZ.com which has practice tests under their “Resources” tab. I have used hamtest on line for my Tech, General and Extra the adaptive learning method works best they have a money back warrenty. Please do not capitalize “ham”. It’s not an acronym. It is slang, therefore it doesn’t get capitalized. The man is trying to help,please don’t irritate him. Now if he says ham it’s ham and I will pay attention to him if you want to be different by all means go ahead lol. Oh but dear sir, HAM is a acronym. Question is, do you know what HAM stands for? Help All Mankind! Learnt something new? Apparently, someone is a “ham” when it comes to knowledge. Ham is not an acronym. Capitalizing it (“HAM”) just makes this web site look cluless. “Spots” was doing you a favor by pointing this out. The no code, multiple choice test (with the answers available everywhere) is proof of nothing except that you know how to write a check to the FCC. It also gives the FCC, a division of DHS, permission to inspect your station whenever they want without a warrant. If the gov’t wanted to restrict or control the flow of information in a particular area or region, then HAMs would be a threat to that. They might be able to remotely shutdown the internet, radio stations, or cell towers – but it’ll require a visit to your house to shut you down. And if you haven’t already, read the Emergency Preparedness Communications Executive Order Obama just recently signed. Operating without one is the quickest way to ensure a visit from them. It’s also the quickest way to ensure that they confiscate your equipment. In my opinion, while the test might turn some off, it’s the only way to legally operate and learn what you need to learn for a real emergency situation. The test doesn’t teach you much, but the skills you’ll gain from being able to operate your radio is well worth the small test fee. It’s not like they don’t already have you information from your drivers license, SS#, your Internet ISP, Taxes, etc…. Looks to me like you’d have to be keyed up for hours, on a call freq, to draw much attention let alone a citation. I understand your points on the advantages, and it’s the easiest way to go for sure. Just saying it isn’t the only, or necessarily the best, route for a survivalist. Advertising the ability to broadcast over long distances might bring unwanted attention to you or your family in some SHTF scenarios. Transmitter sites are targets in a war for example. It’s a lifelong decision volunteering your name for the FCC ULS database, so it should be considered carefully. If I was looking for likely preppers, that database is where I’d start. FYI-You don,t need a lic. to recieve transmissions,just saying. I understand the concern of being registered… I feel the same way about firearms registration. However, remember that there are nearly 3/4 of a million hams in the US, most of which are not heavily into the prep or survival world… most are moderately prepared people like me (I live in earthquake country) but are radio “nerds” (again… like me). If I wanted to know where to find the preppers, I’d start by looking at IP logs on prep websites… sure, you can get around this issue via proxy… but not everybody does. I think the bigger concern would be on the commercial broadcast communications and military radio station facilities. A ham with a (somewhat) hidden 1/2 wave dipole running under the eaves of his house is not likely to become a target… even in war, there are better ways of taking out comms than searching out every ham radio operator in the country. Well in the case as he saying such as the SHTF or all-out War I don’t think I’m going to worry about a license I would want to be as they say off the grid for sure, and untraceable in anyway I can. I will tell you having worked with the Red Cross for disaster relief as well as working with FEMA since 1985 and I don’t like to admit that lol, and worked with the NRC in case of an accident and they don’t have their s*** together trust me. Get your s*** together and take care of your family and yourself on your own you’re going to need to know how to do that, do not depend on the government to help you. Hurricanes and tornados are one thing but if things go bad be prepared to take care of yourself. I’m also a Firefighter, Paramedic, Rescue Specialist. All of this since 1985 and I see, hear and know a lot that the average person would not even believe, think of or dream of. It’s simple and if you want to survive, you must read a lot, learn all you can, supply yourself and be prepared and you and your family will be fine, well better off than most anyway. Well in the case as he saying such as the SHTF or all-out War I don’t think I’m going to worry about a license I would want to be as they say off the grid for sure, and untraceable in anyway I can. I will tell you having worked with the Red Cross for disaster relief as well as working with FEMA since 1985 and I don’t like to admit that lol, and worked with the NRC in case of an accident and they don’t have their s*** together trust me. Get your s*** together and take care of your family and yourself on your own you’re going to need to know how to do that, do not depend on the government to help you. Hurricanes and tornados are one thing but if things go bad be prepared to take care of yourself. I’m also a Firefighter, Paramedic, Rescue Specialist. All of this since 1985 and I see, hear and know a lot that the average person would not even believe, think of or dream of. It’s simple and if you want to survive, you must read a lot, learn all you can, supply yourself and be prepared and you and your family will be fine, well better off than most anyway. And to be totally honest with you I must add, I really don’t want the government to even know where I am or trying to survive lol, as they say, go away, don’t go away mad, just go away. I just passed my Technician test 11OCT2014 and unless you can memorize 200+ answers then the fact its multiple choice is a moot point. You do have to know the answer in order to select it, otherwise the odds of getting it right are only 25%. And choosing not to get licensed “probably” means choosing not to educate yourself on the ins & outs of using a ham radio. Which means you won’t know how to use it effectively in an emergency. I for one would never have seen the need to study radio theory if not for needing to know it in order to pass the test. I “thought” I knew everything about a CB radio until I started studying for a ham license. As for the FCC paying a visit and taking my stuff, I see only a slim chance of that happening in any scenario. I will be operating legally. And if the government does turn on us, I will have one system for them to take and several others hidden away that they won’t find. And like the other guy said, unless you are willing to give up your driving privileges, you already have a government issued license of some kind with a searchable data base. So what’s your point? I will work within the rules, educating myself and gaining experience until such time that it becomes necessary to go underground and continue operating by other means. BUT AT LEAST I’LL KNOW HOW at that point. Until that day comes along, I will be enjoying the hobby and making contacts with other like minded individuals and increasing my knowledge along the way. The Owner of this web page is a Ham, & I guarentee MOST Sellers (In Las Vegas it is AES) WILL NOT SELL YOU TRANSCIEVIERS or other Equip UNLESS YOU ARE LICENSED! One of the benefits of having an Amateur Radio License is it allows you to have “Police Scanners” in your vehicle. I keep my ham radio in a GO BOX which includes a scanner with all the state police frequencies for my area. The GO BOX allows me to move it from car to truck to home base. you can buy Analog/digital radios that scan DMR bands for under $200. If your local LEO is on 2m comms, most single band HTs will allow you to hear but not transmit. Friend has a Kenwood that skips the local LEO but will take it if you manually punch the freq. In a post fan scenario, those public servants that don’t decide to stay with their families instead of report to work will be transmitting valuable info on situations developing within their AOR as they will prob need backup. May just give you the precious minutes needed to re direct your efforts knowing what direction a current threat may be. How will a ham help keep in touch with relatives across the states? Most of the radio bands (a “band” of the radio spectrum) are within the HF or High Frequency range. There are 9 HF bands available (With a large amount of operating room) that can and regularly do allow for communications across the country and around the world. Barring a massive solar radiation event, these bands offer long range communications 24/7 365 days per year, except for those days where natural atmospheric events can cause a disruption. On a more local scale, there are many VHF and UHF bands that are used within the city or more localized region (under 250 miles). Communications distance is a factor of atmospheric condition, antenna condition, power output and frequency. As an example, I’m in Southern California, and am currently listening to two hams talk to each other… One is in Texas, the other is in Ohio. I’m hearing both of them, and it is likely they would hear me if I tried to talk to them. Ham radios are capable of communicating across the world if you wanted to, so that’s not a problem. Just make sure you have the right equipment and knowledge. About the only thing that would stop you would be the EMP effect from a nuclear device it will fry your radios. I didnt really study i just saw there was a test coming up the next day and went and did it passed the technician. Nice discussion ! I was enlightened by the facts ! Does someone know if I can acquire a fillable CA LIC 610 version to type on ? I have a very dumb question. Will ham radios work in steep mountainous areas where there is no cell, internet, am or fm radio coming through?